The weather in the Gulf of Thailand is quite different from the weather in the Andaman Sea. There are different seasons depending on the region. 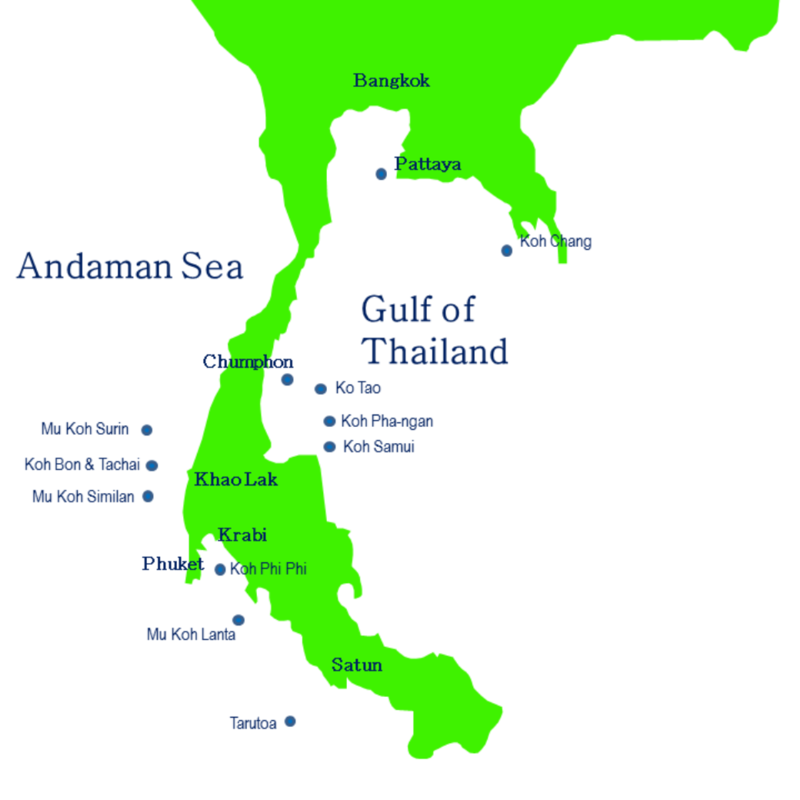 Temperature ranges from 23°C to 32°C all year around in both Andaman Sea & Gulf of Thailand, but there are important differences in precipitation. Comparing the weather in Koh Samui with the weather in Phuket, average rainfall shows November the rainiest month in Koh Samui. September in Phuket. Being a tropical island, the weather in Koh Samui is pleasant with good temperature all year around, and rain can be unpredictable. You need to ask yourself what is more important to you between, heat, rain, prices, holiday plan and how busy you prefer the island to be. For instance, November is the wettest month of the year. Still, some holiday makers, looking to relax doing activities like yoga retreats or SPA indulgence, chose to visit Koh Samui during this month because the island is quiet and prices are lower. However, if you are coming from a country with cold or rainy weather conditions looking for sun, probably is better to skip the rainy season and chose to visit during the dry or hot season. The best time to visit Koh Samui will depend on your own preferences, here you can find some tips and suggestions, but if you have questions feel free to contact us. In the map below you can find some live cams set around the island so you can check the Koh Samui weather yourself in real time. Make sure you look at Thai daylight timing (+7GTM). Note: some of the live cams may not work temporarily while they are serviced. Koh Samui weather is difficult to predict. Clouds move fast and there are micro climates on different sides of the island. Even popular weather forecast sites don't get it right. You may see a forecast showing storms every day but not see a single shower in a whole week. Go with the historical averages on this page. In Koh Samui when it rains, it pours. Floods are not a concern most of the years but is better to be prepared. Aedes aegypti, AKA tiger mosquito, is the vector of dengue fever virus in tropical locations, including Thailand. During and after the rainy season is when dengue is more common. Use repellent, specially during the day. Avoid direct contact with flood water, it carries a lot of bacteria!